Cruise-In and Rock 'n Roll! 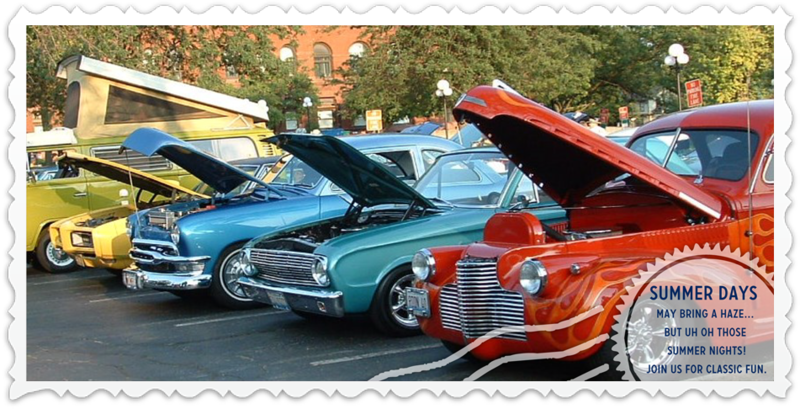 Please note: The Chamber will decide by 3 p.m. on the day of the show to cancel the car show in the case of questionable weather conditions. Call the Chamber Office at (630) 232-6060 to check the status. The Geneva Classic Car Show is a great way for sponsors to meet and greet potential customers in a setting that is relaxed and friendly. To learn more about sponsor benefits and advertising opportunities contact Judy Carroll at jcarroll@genevachamber.com or by calling 630-232-6060.